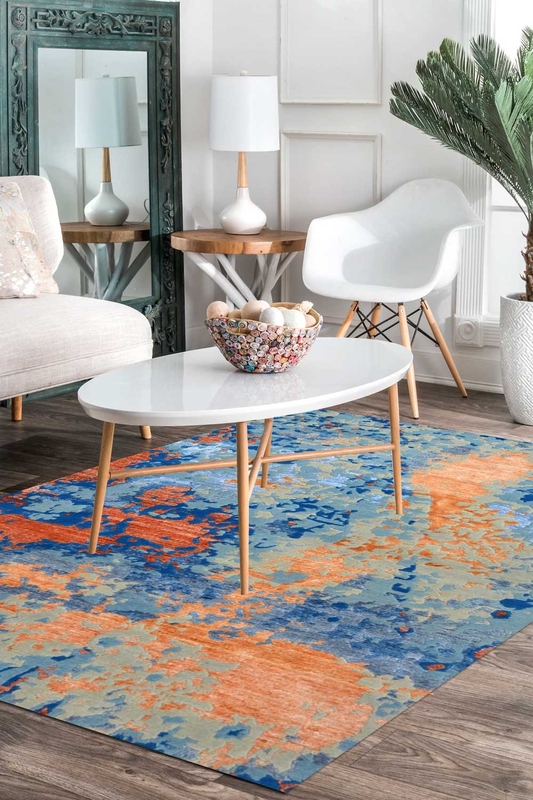 Add Beautiful Muti Vibrant colors to your décor only by placing this beautiful"One of a kind" hand-knotted wool area rug which is woven in finest quality cotton and pure New Zealand wool + Banana Silk by our talented weavers. It has a beautiful defined pattern which is really hard to weave. The ground of this carpet is the main eye-catching point which contains a very intricate design pattern in multi colors. The ground is fully filled with modern motifs and beautiful vibrant colors. The additional feature is to contain multi-color which can easily adjust with any colored furniture in a home. So place this “One of a kind” Hand-knotted wool carpet in your home and give a statement to your floor.